This world is a biggie big place where in the hodgepodge and hassle of life and technology, brands/companies and even people have to work big time for their name and designation. It has become an intricate task to make your-self noticed. One has to move miles and miles, climb up the ladders and rocks without looking back ,crossing the hurdles & hindrances to reach a point where the world may recognize him by his big name, great fame and tremendous work. That is a wider picture, a broader way that cannot be earned overnight, you need to sweat it out, control on your mental strain, stay focused and keep moving ahead. In the cyber world where there are gazillion websites and blogs, that already have had been working and accommodating people through different channels, a blogger should keep certain things in mind while to catch the eyes to his blog’s platform. He needs to keep things simple but exceptional. He does not have to exaggerate the surplus elements in his blog rather he can make it look sophisticated with fewer amazing features. In order to fall under the search engine’s radars your blog should opt for some ingredients that are preliminaries to let your blog go unavoidable and indispensable. The first and foremost element is the very theme of the blog. WordPress themes not only make blogs stand out of the rest but accelerate the entire appeal of the blog. Why not to give it a go this time if you are coping up with girly blogs? Today I am unfolding before you 10 free responsive Female WordPress themes that can help them with generating good revenue, a handsome amount of traffic and overall good impressions for the blog. Go with the elegant, stunning and attractive WordPress themes to make your platform user friendly, discerning and up the mark. Make sure to revert us with your feedback to let us know your experience regarding the post and your interest. For the beginners any of these themes will give a push up to the caliber, competence and stance of the blog. 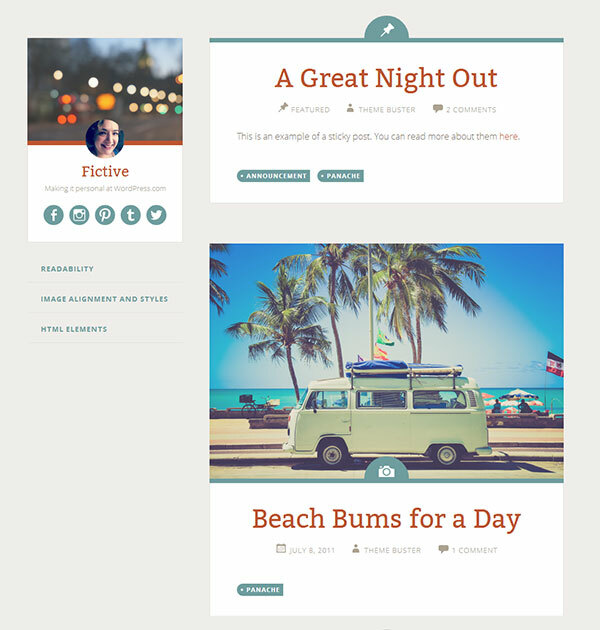 Fictive is a beautiful elegant free wordpress theme for female bloggers. You can put a custom header image, gravatar, and your author bio on the left side. 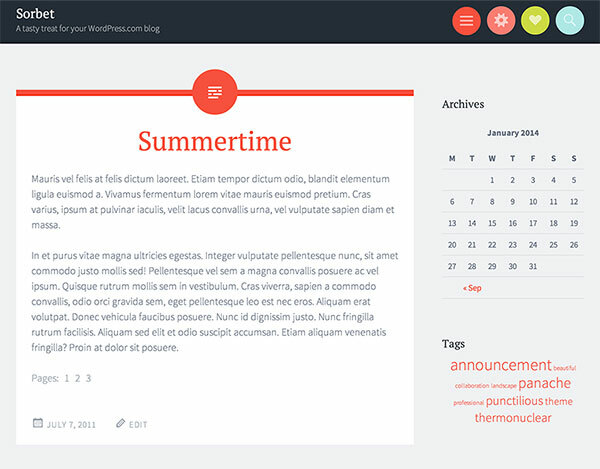 There are post formats for your content, you can add custom menu, widgets etc. 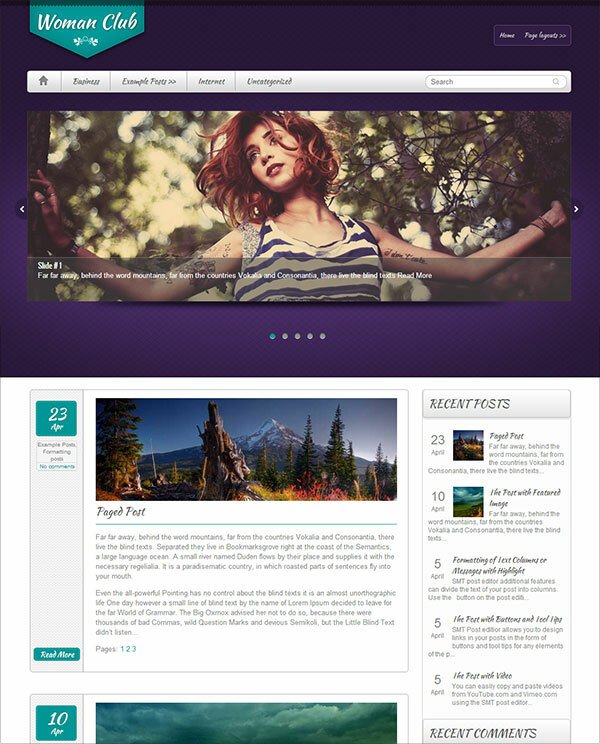 Sorbet wordpress theme is designed for blogs and websites. It is shipped with various post formats, navigation, social icons, and several widgets. Sorbet is well suited for new bloggers. 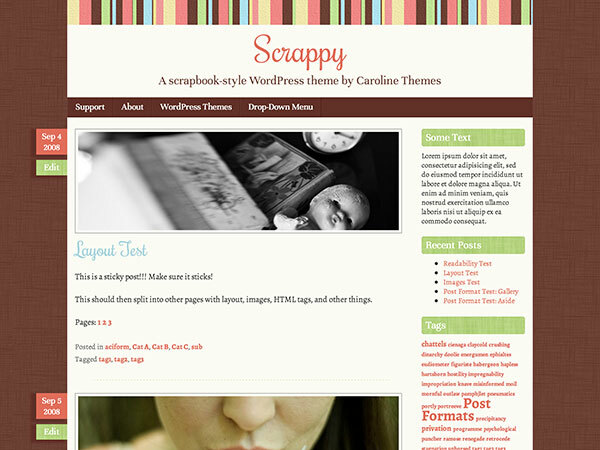 Scrappy wordpress theme is a scrap book style blog theme for female bloggers. It has a nice colorful responsive layout. 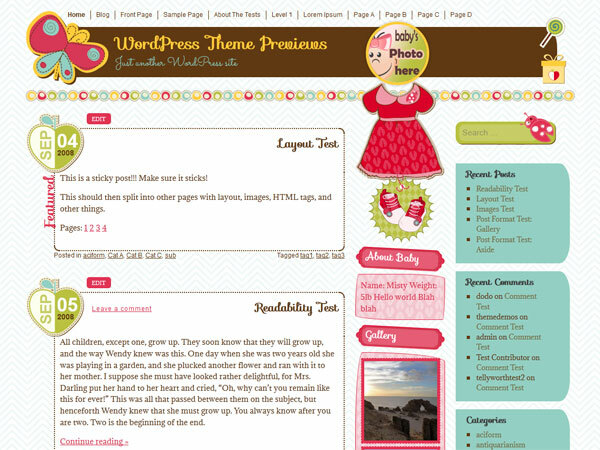 It has a custom-background option, custom-menu, editor-style, featured-images, green, pink, right sidebar with two columns. 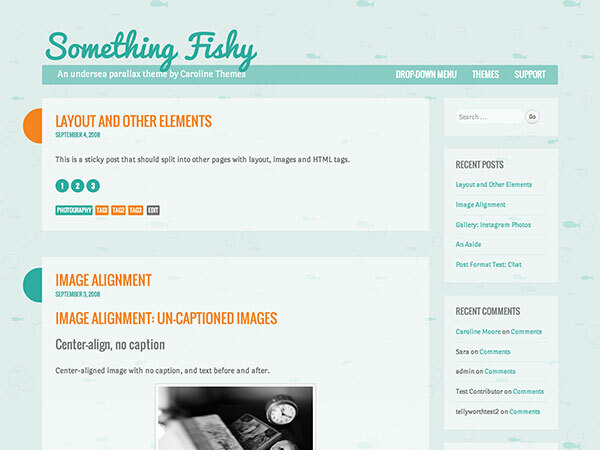 Fishy is a clean WordPress theme for starters. It has an animated undersea background with a fun design. It is well suited for personal blogs. 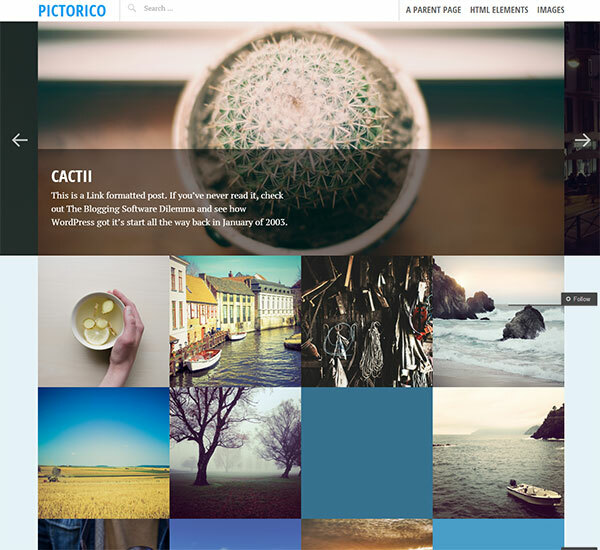 Pictorico is a free responsive wordpress theme available on self-hosted wordpress directory created by automatic. 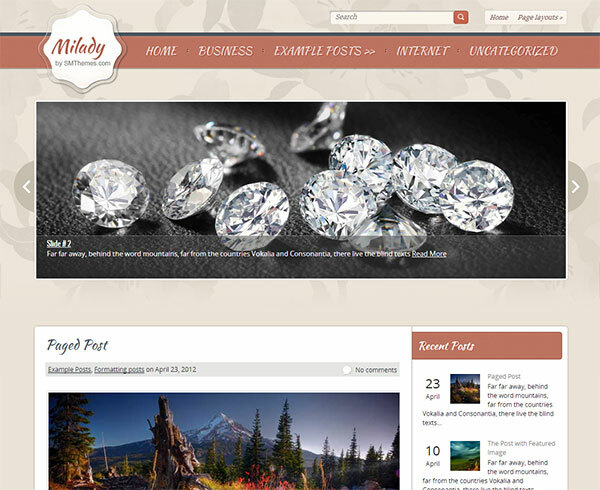 It is designed for portfolio blogs and specially for photo blogging. 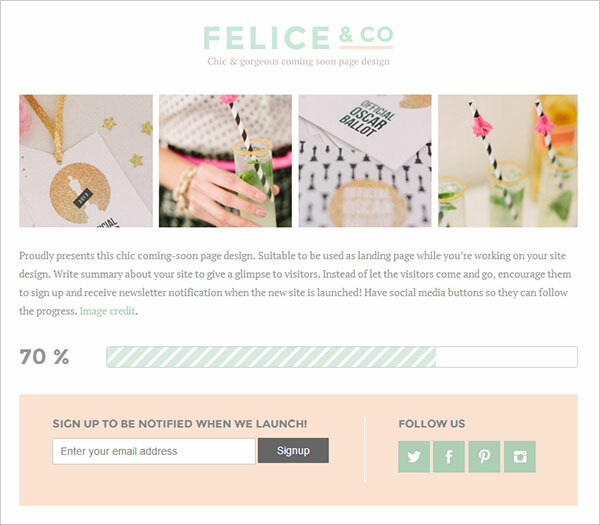 Felice coming soon theme has responsive design, progress bar, custom logo upload support, theme options, subscribe/sign up field, social media icons and cross browser compatibility. 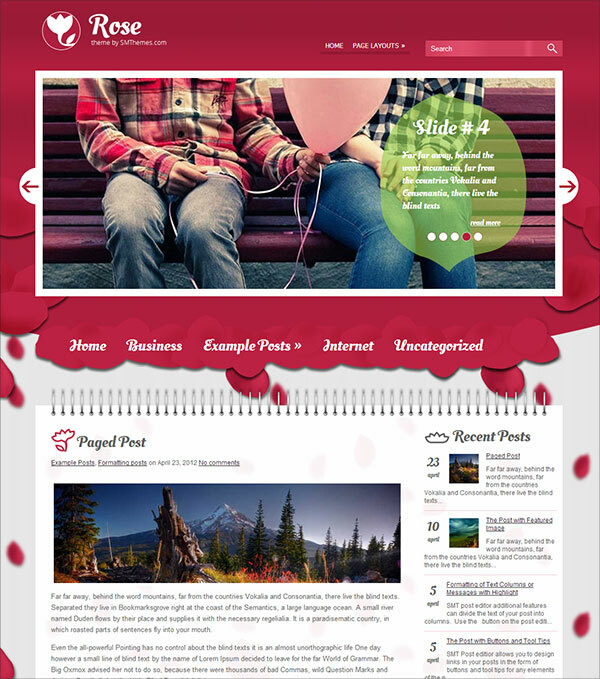 Rose WordPress theme is specially made for women’s blog. It has custom widgets, social share bar, shortcodes, contacts page, slider ready, seo optimized, compatible with latest wordpress, custom menus, antispam etc.